Why Do Your Group Mates Make Fun of You? It often happens at schools or colleges when a big part of a group mates fun of a certain person. Sometimes it leads to teenagers’ violence and even tragic consequences. Of course, no one likes to be mocked especially if it occurs every day like in the case of college. Just imagine the situation when everyone in the class starts laughing if you get a bad grade for a college essay. Sure, you will probably want to sink through the floor. At least, to begin with, you can reduce the likelihood of getting a bad grade. This can be done by ordering an essay on our website essaytwist.com. You can also order proofreading and editing of your own paper as well as professional rewriting. Most of the young people do not understand the results of such behavior and continue to laugh at someone who seems to be alienated in a group. On the other hand, a student who is ridiculed usually does not see the reasons why others do not appreciate him or her. It is essential to mention the consequences of such attitude as well. In the worst cases, violent jokes can lead to bad results, for example, situations, when a student commits suicide because of them, are known and are becoming more and more spread nowadays. Sure, for the majority of teenagers joking and laughing at someone seem to be normal. They do not even think that it may have some unpleasant consequences or seriously affect their “victim”. However, it can have a great negative influence on a ridiculed person especially if he or she is sensitive to others’ opinion and cannot deal with criticism correctly. We present some of the most typical consequences of school or college mockeries below. It is true that a person who is ridiculed in the class usually gains more complexes during his or her years of education. It makes a student shyer and withdrawn. As a result, it is hard to socialize and set a contact with people even after graduation, for example, at work. Sometimes young people have difficulties with their private life because of gained complexes and stay lonely for years. In the worst cases, a professional help is needed as a sensitive student may fall into depression or stress. It is quite hard to find any friends for a student who is an object of laughing for everyone around. As a result, he or she feels lonely and cannot socialize successfully. It is a pity because school and college are the best places for gaining social skills and learning ways of setting contact with people of different points of view and interests. It is important not to be alienated in the group. It may be difficult then to adapt to new colleagues and get used to new work, for example. Sometimes an inappropriate behavior of people who surround you makes it harder for you to concentrate, and your grades are getting worse and worse. Sure, it is very difficult to be attentive at a college lecture while hearing violent jokes all the time. Moreover, ridiculed students often suffer from shyness and cannot participate in class discussions confidently or express their creative ideas. As a result, most of them lose lots of opportunities to get a higher grade and demonstrate their own skills to a teacher. Now it is time to discover the main reasons why your group mates make fun of you. It is still a big question for the majority of students. They hear jokes and gags every day, but do not know any reasons for such an attitude. It is essential to pay attention to yourself in such a case. Maybe, your own behavior provokes such things. We tried to do a small survey and found the main reasons why teenagers ridicule you at college. Despite the fact that shyness and complexes are the common consequences of ridiculing someone, it may be the cause of being laughed at as well. Sure, if you are nervous before delivering a speech, it is absolutely normal for everyone. Probably, no one will laugh at you in case you are a bit unconfident while speaking. This happens with all of us. However, if you are afraid of talking anything at all, behave in a withdrawn way and cannot communicate with others freely, it may become the reason why students make fun of you. How to cope with it? You have to become confident and overcome your shyness if you want to reduce stupid jokes of your group mates. 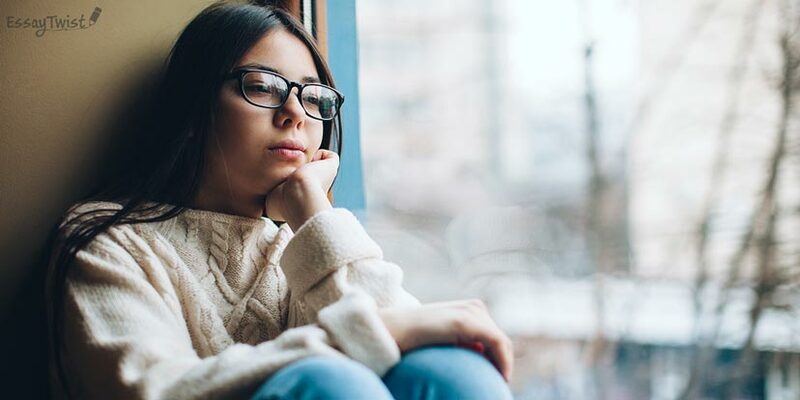 Rarely young people appreciate gloomy and constantly depressed students. They like to have fun and expect to hear humorous jokes in answer, but not to see your dullness. If you want to prevent situations when group mates make fun of you, it is significant to be well prepared for their jokes. You have to use your humor as well, for example, do not let someone laugh and make you look dumb. Invent several fun but friendly jokes for different possible situations. In such a case, you should not be rude and answer politely even if you hear something brutal. On the other hand, the main reason of your group mates ridicules may be their jealousy because of your success at college or in some other spheres. This is a part of human nature, and you cannot deal with it. It is a common situation when smart and talented students are alienated at their class and do not have friendly relations with any colleagues. Sure, it does not mean that you have to act in a silly way and try to look not as smart as you are. That is the thing that you cannot change. Moreover, it is not a reason to hide your skills and talents. Just do not pay attention to their mocks and jokes. 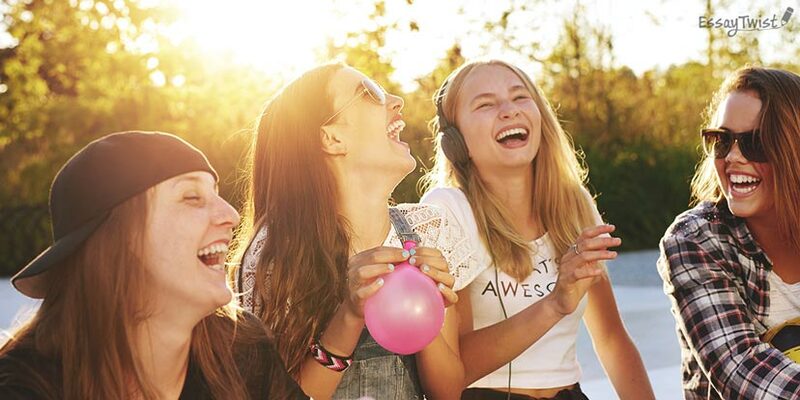 To sum up, it is valuable to know the main reasons why group mates make fun of you. If you are aware of them, you have more chances to prevent these unpleasant situations and conflicts. The main task is not to let them abuse and laugh at you during all your college years. You should speak up and show that you are not a person who will silently listen to silly ridicules. This ability to protect your own interests is important for everyone to live a full life at school, college, and workplace. Thus, you should learn it in order to cut down the situations when you are ridiculed by people around. We hope that our article is helpful for you on such issues and you will use this knowledge in your life.